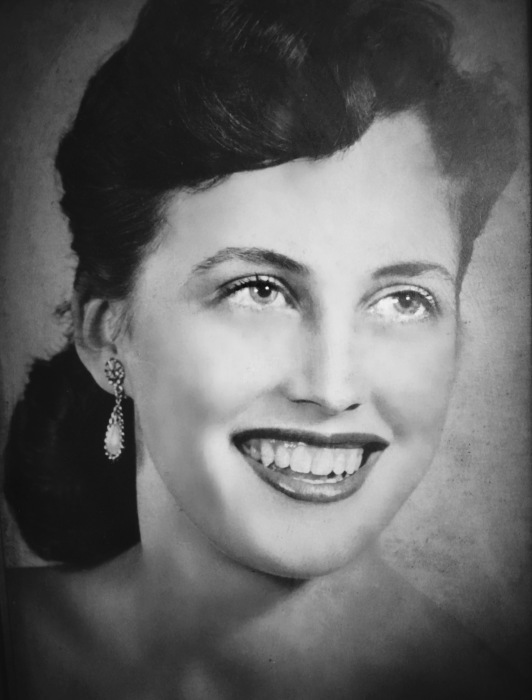 Glenice Lou Cobb Sturgill, age 81, passed away on Thursday November 16, 2017. Born and raised in Elm City, NC, she was the daughter of the late Norwood Graham (N.G.) Cobb and the late Callie Ellis Coyner. Mrs. Sturgill was graduate of Pineland College of Salemburg, NC. In her younger years she worked as a model in New York City and was featured in print advertisements for Maytag appliances and Heilig-Myers Furniture Stores. She was of the Baptist faith and attended Elm City Missionary Baptist Church. Mrs. Sturgill is survived by a daughter, Taryn Potts of Richmond, VA and a son, Jack Swaringin of Elm City. She is also survived by five grandchildren (Brian Bearfield, Nathan Potts, Tyler Howard, Ryan Helquist, and Scott Jones) as well as six great-grandchildren. In addition to her parents, she was preceded in death by a daughter, Dawn Renee Helquist and a granddaughter, Charity Amberly Powers. A funeral service to celebrate the life of Glenice Sturgill will be held on Sunday December 3, 2017 at 3:00pm at Elm City Missionary Baptist Church, 206 Wilson St., Elm City NC. The Rev. Gene Wells, officiating. The family will receive friends one hour prior to the service at the church. Interment will follow in Cedar Grove Cemetery. Arrangements by R. Brent Cook Funeral Service Licensee, LLC.